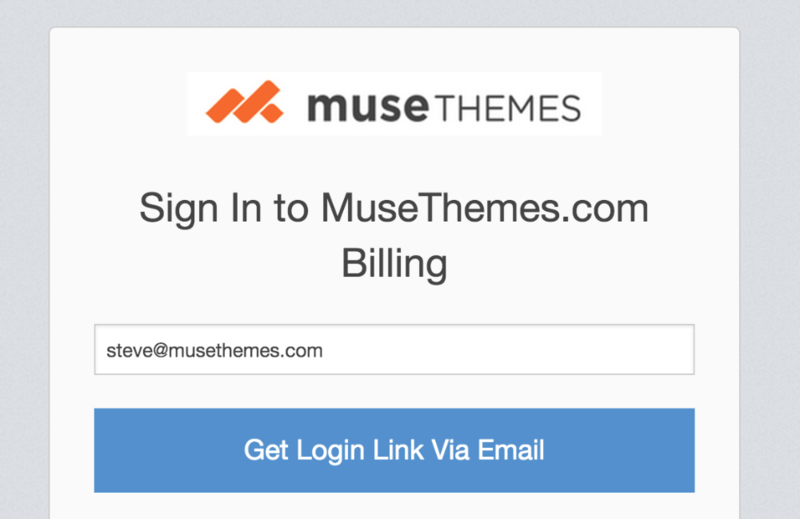 If you do not want to renew with MuseThemes for another year, you can visit our customer billing portal and select “Cancel” next to your subscription details. To access the billing portal, please click the following link and enter the email address used to signup. A time sensitive access link will be immediately emailed to the address matching your subscription. A link to this portal was also sent to you upon signup, but it does expire for security purposes. If you have difficulties accessing the portal, please contact our accounts team ( accounts@musethemes.com) and they can help you out. Within the billing portal, you will see your current subscription information. 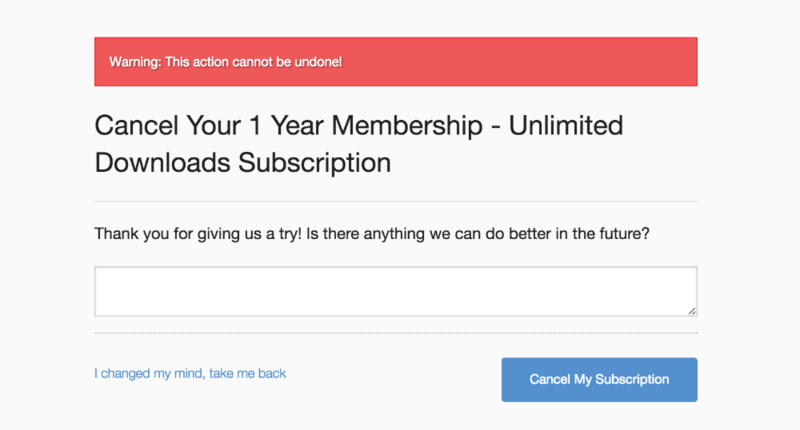 Click the " Cancel" button beside the subscription that you would like to remove. Your account will be set to cancel at the end of the term, and you won’t see another charge. Be sure to click "Cancel my Subscription" on the confirmation page that appears.